Today we sailed northwest across the Timor Sea. North of us are the islands of Indonesia. The water hear is fairly shallow and very calm. I was amazed to learn how large Indonesia is. The country consists of many islands spread over an area as wide as the entire USA. We are heading towards the west side of the island group, to Komodo Island. This will be a short stop tomorrow. 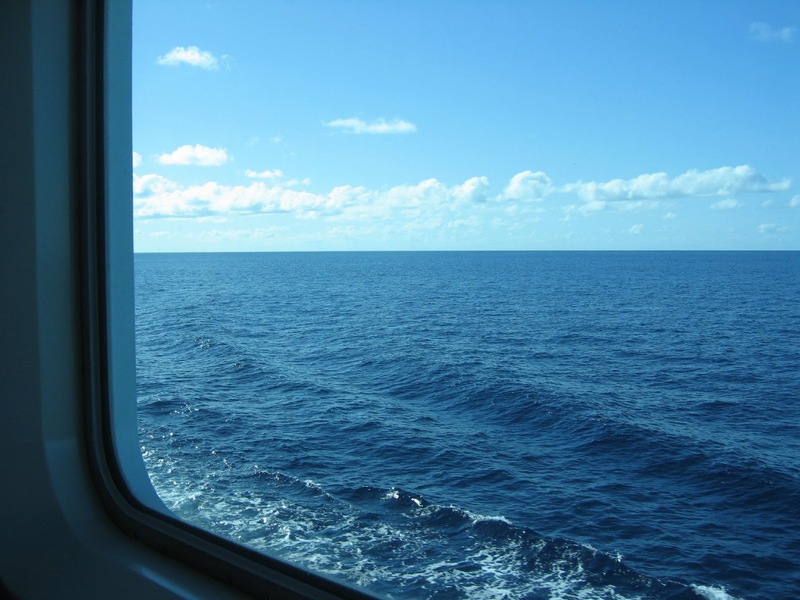 We will anchor offshore and take tenders in for a few hours on the island before continuing on. 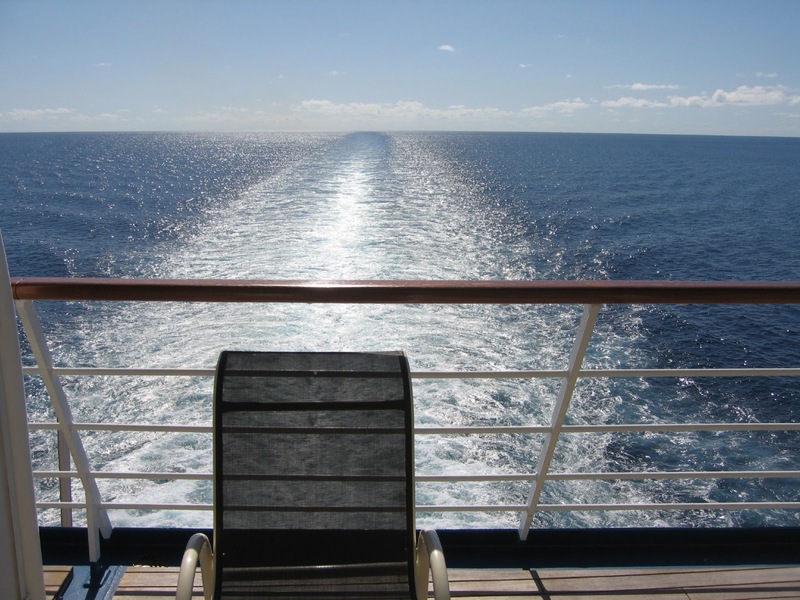 Since I don't have ports to write about today, I'll talk about life on the ship. The ship's main restaurant is on the 4th floor so it is fairly close to the water line. This is the view from our breakfast table. After breakfast each morning we go to the lounge for a half hour or so to give the housekeeping staff time to clean our room. For those who are interested, there are card games, jigsaw puzzles, quiz games, exercise classes, board games, bocce, shuffleboard, ping pong, bingo, and of course, the pool. There is usually a lecture at 10AM and, if it's something we are interested in, we go to the theater to hear it. Otherwise, we go back to the room to read and watch the world go by. There was an art auction this afternoon and a lecture on Indonesia music. The times conflicted, so I went to the art auction and met Ray at the lecture when the auction was over. 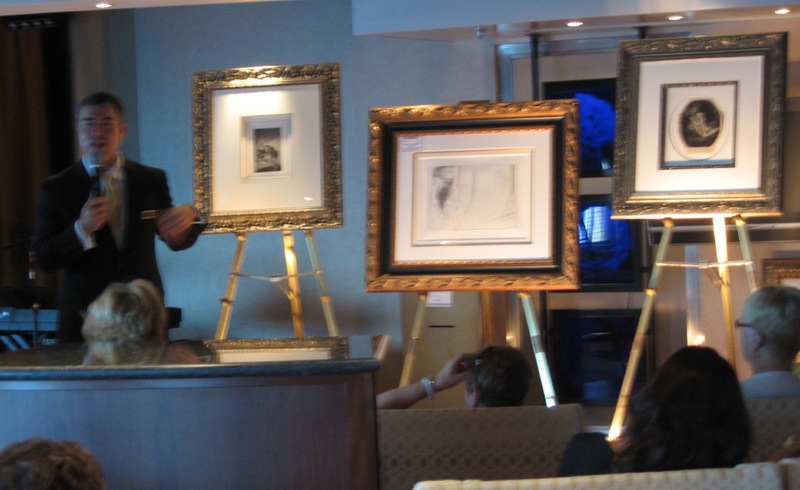 The art on this ship includes some more valuable pieces than I've seen on other cruise lines we've been on. They auctioned off several Rembrandts, Picassos, etc. They also give out raffle tickets and a small print to people who attend the auction and I won a piece of art fin the raffle. Not a Rembrandt or Picasso, but I got to choose from 5 works by contemporary artists, several of which I like. I choose a lithograph by Csaba Marcus, an artist Ray & I have been admiring. He is around our age, so the chances of his work appreciating a lot in our lifetime is not great, but the first rule in art is "collect what you like." We had a nice turkey dinner in the restaurant tonight. It seems that they offer this once every cruise.